Today, Amazon has selected a number of best-selling books to put on sale, and Agee of Myth is one of them. It's just $1.99 rather than $9.99 so that's a savings of 80%! This is the first time this book has been discounted and with Age of Swords coming out in just a few months, it's a great time to get started with the series. If you already own Age of Swords, please consider telling a friend about the sale, it's a great deal. In the next round Suri and Minna will be facing Mira Grant's (AKA Seanan McQuire) Georgia Mason from Feed (Newsflesh Series). Voting won't open for a few days, and we'll keep you posted! 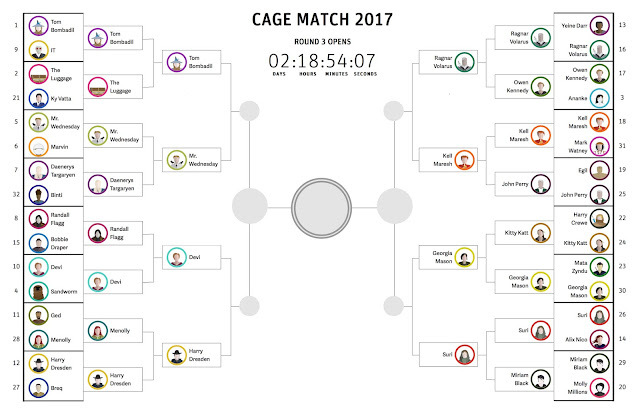 I'm so pleased that Suri and Minna made it to round 2 of Unbound World's Cage Match 2017. 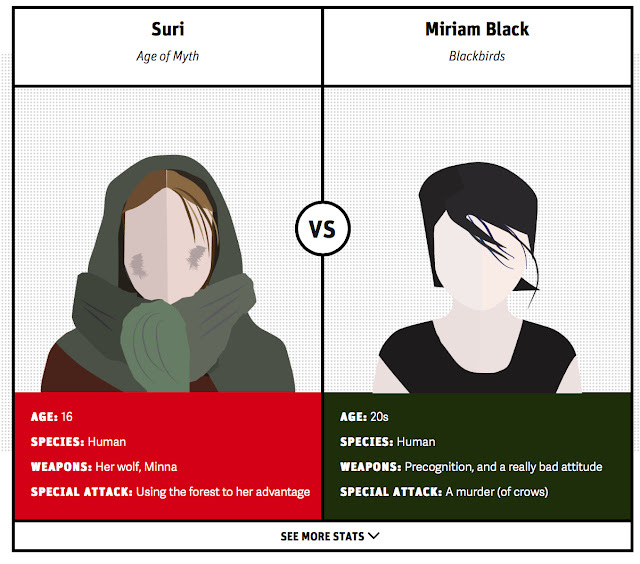 After a come-from-behind victory over Alix Nico, Suri and Minna will now face off against Miriam Black. Its a wolf verses bird match! For this matchup Unbound Worlds asked me to write a short story with how I think this encounter would play out. You can read it here, and don't forget to vote! Have no idea what I'm talking about? Well, each year there is a match up between various fictional characters held in a kind of Final Four bracket where they go head to head and the winner advances to the next round. None of my characters have ever been in a cage match before, and I'm hoping Suri isn't over her head. Here's the match up. You can read G.T. Almasi's account to see how he thinks things will play out. If Suri advances to the next round, I'll be able to do a write up for her against her next opponent. But as I said, right now it's still too close to call! There are just 2 days left to vote, and you can do so here. Let's hope the mystic and her wolf makes it out alive!